Out now, the most comprehensive, non-Japanese book on Natsuo. 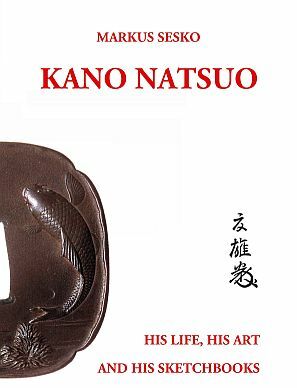 Even though the kinko artist Kano Natsuo is on everyone´s lips when it comes to conversations about late Edo period sword fittings surprisingly little material is available outside of Japan, in neither a comprehensive or in a published form. With this publication I try to provide a remedy by introducing an outline of his career, his personality, his art, his students and his works (34 pieces on more than 50 pages). And, as a reference, I have republished all four of Natsuo’s sketchbooks on sword fittings (Kengu-shitazu-soko). Thus I hope that with this publication I can contribute to the understanding and appreciation of this great artist in the West and that the reader enjoys browsing through Natsuo´s sketches.